New to Yoga. . .
Public classes (see schedule) and Personal Sessions (request Intro) are created with you in mind. The mission is to reduce pain and discomfort while increasing enthusiasm for life. A therapeutic emphasis focuses on a student’s physical capabilities. The teacher builds upon your strengths to help you blossom beyond perceived limitations. You can learn to see your potential and power rather than feeling trapped, stuck or hopelessly “less than”. This therapeutic focus is intended to teach you to promote total-well-being. We will teach you how to align and engage with the possibilities that you hold with-in. Learn the innate intelligence of your body and its ability to repair, restore, recover and heal itself. Physical, psychological and emotional benefits are the result of a dedicated personal yoga practice. At Yoga Born, we believe in you! Some studies suggest that yoga has a positive effect on learning and memory. Other researchers have been studying yoga’s ability to slow the aging process, increase a person’s sense of self-acceptance and improve energy levels. We believe our students are happier, able to face their fears and feel more alive! 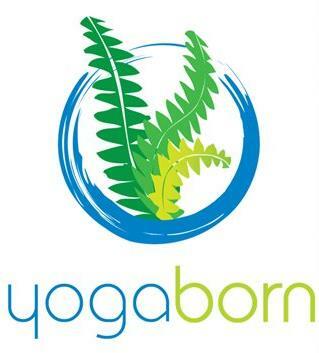 “Yoga Born is different than other studios around, you have to visit for the experience!” Joyce B. Staff and students are friendly and will welcome you. Yoga Born has a specific slow down and get connected culture. We are tucked away from the rushed everyday pace to savor what our bodies can do for us today. It is always changing and we specialize in teaching alignment based-slow paced-therapeutic yoga for you to feel your best. Each session is welcoming, enlivening and peaceful. We teach step-by-step a therapeutic yoga practice “do what you can today with out strain”, nurtures, engages and enables you to thrive during midlife and beyond! You will be pleasantly surprised to meet others like you! You will feel better each time you visit.